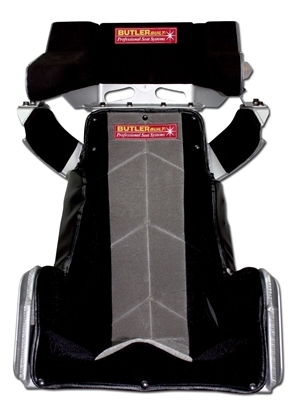 Racing car seat systems by ButlerBuilt | Custom racing seats. 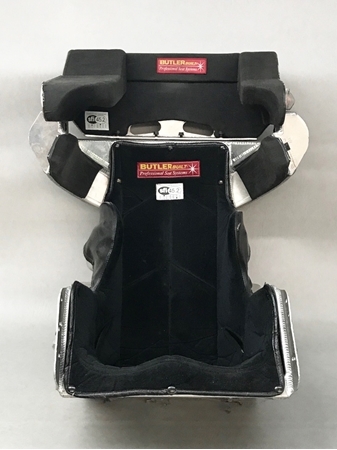 BUTLERBUILT Professional Seat Systems manufactured and/or distributed the enclosed components for use on vehicles designed and built by persons not associated or controlled by BUTLERBUILT. No specific use is recommended, intended or contemplated. Because some environments may subject components to severe stress, and because components are affected by many forces beyond the foreseeability and control of BUTLERBUILT, these products are sold WITHOUT WARRANTY EXPRESSED OF MERCHANTABILITY OR OF FITNESS FOR ANY PURPOSE. NO WARRANTY EXPRESSED OR IMPLIED ACCOMPANIES THESE PRODUCTS AND THE PURCHASER AND/OR USER, HAVING INSPECTED THESE COMPONENTS, MAKES THE SOLE DETERMINATION OF THEIR SUITABILITY FOR USE IN AN APPLICATION OF HIS OR HER OWN DESIGN. By the installation of these components, the user or installer assumes all risks of damage, injury or death. 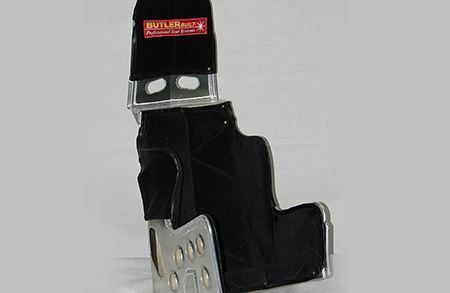 BUTLERBUILT's BEST SEAT FOR ASPHALT LATE MODELS, MODIFIEDS and other asphalt stock car applications! Available in 15", 16", 17", 18" or custom sizes. 20-degree layback for stock car applications. Shown with optional silver powder coat and 2-color gray/black cover. Weld-on leg extension tabs highly recommended for easy mounting of leg supports. See Related Products below. Now available in TALL (head and shoulders raised 1") (drivers approx. 6'0" to 6'2") and SHORT (head and shoulders lowered 1") (drivers approx. 5'5" and 5'7") versions. NOTE: Rib height not changes in TALL or SHORT versions. For 17" and 18" E-Z Tall, click here. 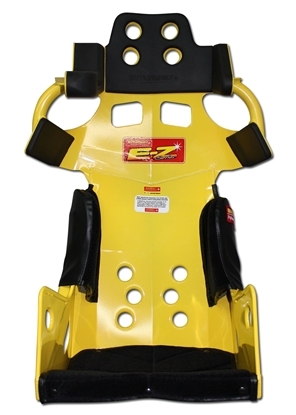 Seat in images shown with optional Yellow powder coat. 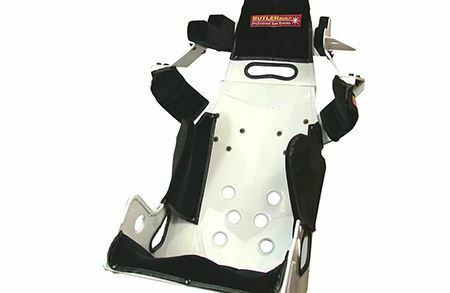 BUTLERBUILT's BEST Seat for Legends Cars! 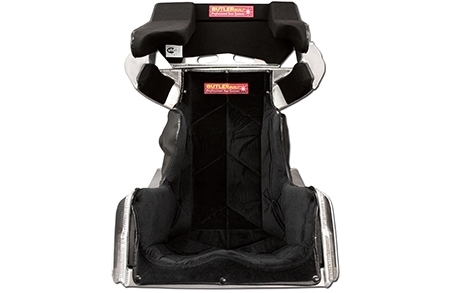 The Legends Advantage II is the top-of-the-line, best seat we build for Legends Car applications. 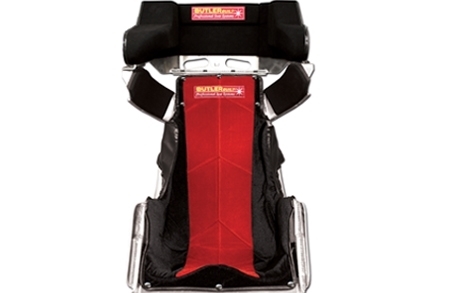 This is a 20° layback Advantage seat with a Sprint Advantage head. 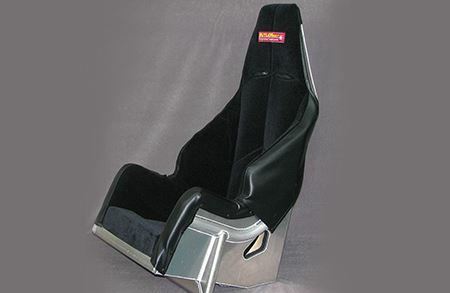 A truly awesome seat - not only perfect for Legends Cars, but also a great seat for asphalt or dirt late models and modifieds. Seat built custom only (no standard sizes). We will need your driver measurements in order to build this seat. When placing order, email completed driver measurements to sales@butlerbuilt.net. 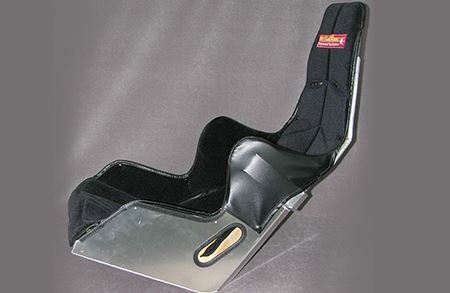 The "Francis-style" ProLite Advantage II seat! This was our No. 1 seat for Dirt Late Models and Modifieds for over a decade (before developing the SFI Slidejob technology). Not SFI certified. 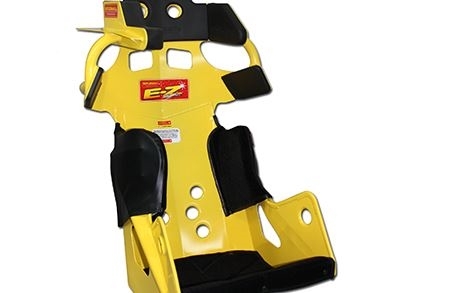 Still a great seat option for Dirt Late Model and Modified series / tracks not mandating SFI seating. 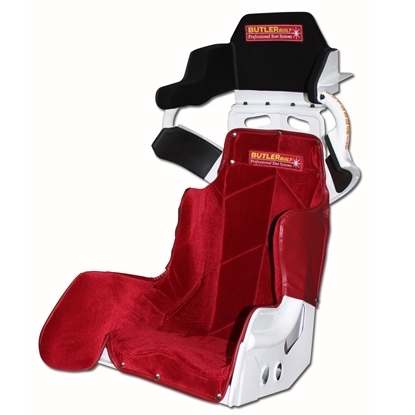 Seat shown with optional Bengal White powder coat and red velour cover. Not sure your size? Complete the driver measurement guide and contact our sales staff!